The report will address opportunities for the Institution so that it can connect with chemical engineering professions and the emerging bio-sector in a better way. 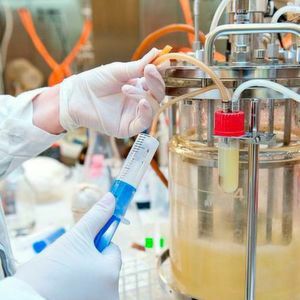 UK – The Institution of Chemical Engineers’ Bio Futures Steering Group has launched a report highlighting opportunities for the Institution to better engage with chemical engineers in the emerging bio-sector. I Chem E’s Bio Futures programme was set up in November 2017 to ensure the Institution remains relevant as the profession evolves. It aimed to help develop the Institution’s work in the bio-sector as a learned society and highlight the importance of biochemical engineering careers and skills. Four task groups were created under the Bio Futures programme, they undertook a range of activities with industry and academia around the world. A policy consultation was conducted with all the programme’s members, relevant I Chem E Special Interest Groups and National I Chem E Boards. More than 90 small and medium enterprises were also approached for consultation. Surveys were conducted with 159 organisations in the industry and 39 universities; and interviews were carried out with biochemical and chemical engineers representing a range of career paths from across the bio-sector. 4. Policy – identifying how I Chem E could shape policy in the bio-sector. The final report summarises the findings in the four areas and includes a number of recommendations for I Chem E. Two trustees have agreed to form a working group to review the Bio Futures programme report, discuss their findings with I Chem E’s executive team and produce a response to the report on behalf of the Board of Trustees.